We try to be as responsive as we can to our readers, and include every nomination, checking only for only one criteria: released in the correct year. We open the threads at the start of the year (2017 threads are already open!) and leave them up even into the first week of the next year. Somehow, even with an entire year to nominate games, we still get hate-mail from around the web asking “why wasn’t _____ on the list?” The answer is the same every time: no one nominated it! It’s your award, and you dear reader, get to pick your own choices. This year’s winners? Here they go. And remember, all of them were selected by you! GrogHeads Readers’ Choice Overall 2016 Tabletop Game of the Year was Star Wars: Rebellion, a game we discussed at length on the GrogCast last fall. Falling Sky, the latest in the COIN series, finished second. Ventonuovo’s visually stunning Moscow ’41 took third. The GrogHeads Readers’ Choice Overall 2016 Digital Game of the Year was the adaptation of the excellent Twilight Struggle tabletop game. Second place was claimed by Strategic Command: WWII in Europe, and third overall was XCom 2. In response to reader inquiries, we also added a new feature this year to recognize excellent After-Action Reports from games. Although we did not limit the category to those AARs that appeared on our site, it’s interesting to note that all three of the top finishers were in our forums, rather than on our front page, indicating that we clearly have to some talented writers in our forums. The overall winner of the inaugural AAR of the Year for 2016 was War in the Pacific AE, authored by KyzBP & Undercovergeek in the GrogHeads forums. Within each of the digital and tabletop genres, we did offer more specific categories of competition as well. This year, we tried to standardize the categories for consistency going forward. Of note, in the tabletop realm, we had no nomination for any miniatures rules or figures. The real winner this year was “the colon” as it seemed like 30% or so of the winners all had a colon in their titles. 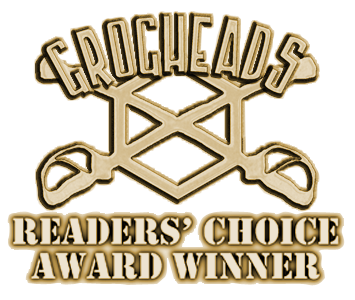 The GrogHeads Readers’ Choice 2016 Digital Wargame of the Year mirrored the overall digital game voting, with Twilight Struggle first, followed by Strategic Command: WWII in Europe, with XCom 3 bringing up third. The GrogHeads Readers’ Choice 2016 Digital RPG of the Year was Uncharted 4, with Grim Dawn and Lego Star Wars: The Force Awakens taking second and third, respectively. The GrogHeads Readers’ Choice 2016 Digital RTS Game of the Year saw Homeworld: Deserts of Kharak beat out Battlefleet Gothic: Armada (Hey look! More colons!) and Children of a Dead Earth. Our GrogHeads Readers’ Choice 2016 Digital FPS Game of the Year was runaway hit Battlefield 1, followed by Overwatch, and The Division. The GrogHeads Readers’ Choice 2016 Digital 4X Game of the Year was back to a full category, and Civilization 6 kicked the bits out of the competition, with Stellaris and Polaris Sector splitting the “space 4x” vote for second and third, sort of. When the winner takes over 60% of the vote, finishing second is still waaaaay behind. The GrogHeads Readers’ Choice 2016 Digital Expansion/DLC of the Year was the US Marines expansion for Order of Battle Pacific, which has featured in a long-running AAR on our front page. It was followed by Sourge of War: Battle of the ColonQuatre Bras and Order of Battle: Frozen ColonsWinter War. Our smallest category again only produced a first-place winner, as we don’t award more than that when fewer than 4 are even nominated. Our GrogHeads Readers’ Choice 2016 Digital Sports/Family Game of the Year was FIFA 17. The GrogHeads Readers’ Choice 2016 Tabletop Wargame Game of the Year was Wing Leader: Supremacy, which will feature heavily in our GrogHeads Central Command events at Origins in 2017. Second place was another GMT Games effort, MBT. Our third place winner was Moscow ’41. The broader GrogHeads Readers’ Choice 2016 Tabletop Strategy Game of the Year went to overall winner Star Wars: The Colon Attacks Rebellion, with Falling Sky second and Hands in the Sea third. Our GrogHeads Readers’ Choice 2016 Tabletop Euro/Family Game of the Year was conquered by Terraforming Mars, which gets plenty of mentions in our forums, too. Second place was Captain Sonar, and third was Ticket to Ride: First Journey. The GrogHeads Readers’ Choice 2016 Tabletop RPG of the Year was another Star Wars title, Star Wars: Return of the Colon The Force Awakens. Second place was Call of Cthulhu 7th ed, and third place was the new Second Edition of 7th Sea. 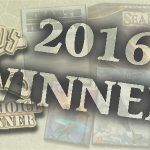 Our GrogHeads Readers’ Choice 2016 Tabletop Reprint/Rerelease of the Year, was Silver Bayonet 25th Anniversary Edition. Mare Nostrum: ColonsEmpires beat out Empires in America for second, and third respectively. Finally, as noted at the top, our inaugural AAR of the Year for 2016 was War in the Pacific AE. Barthheart & JasonPratt’s extended Barbarossa AAR took second, and third was a tie between Hitler’s Last Gamble (which was not a GrogHeads AAR) and Really Out To Get Me, a Twilight Struggle AAR. Congratulations to all our winners, and nominations are already open for the 2017 awards, both digital and tabletop. Remember that if you don’t nominate them, we don’t want to hear the complaining when you can’t vote on them!